Is Braves' latest lineup a keeper? How Braves will balance rest vs.
to a minor-league deal - to play 3B! All you need to know about Coolray Field. Will young arms be able to get a shot? Who will be this season's biggest surprise? New This Season! 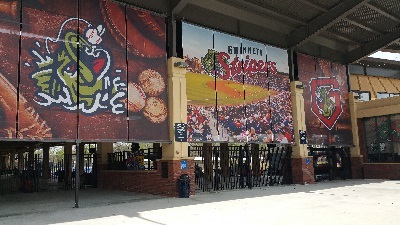 Sign up for the Atlanta Braves Express free E-Blast Newsletter and/or the Stripers Express free E-blast Newsletter delivered weekly to your email address with complete team coverage including player interviews & features, inside team information, SunTrust Park and Coolray Field giveaways.